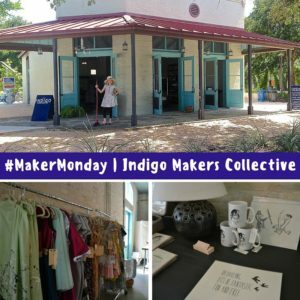 Where downtown San Antonio and Southtown meet is Indigo Makers Collective, located on the corner of S. Alamo and Cesar E. Chavez Blvd. 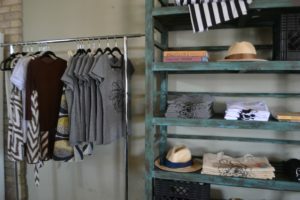 Indigo Makers Collective is a shop specializing in locally made mens and women’s apparel, handcrafted accessories and wares. 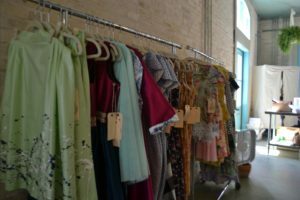 Jessica Brown, Kass Carrell and Blanquita Sullivan are the founders of Indigo Makers Collective, the first OPEN Downtown Pop Up shop at Hemisfair. Sullivan and Brown first met while working at Anthropologie, where Sullivan currently still works. While Carrell met the twosome in 2015 at the Southwest School of Art’s Articopia. 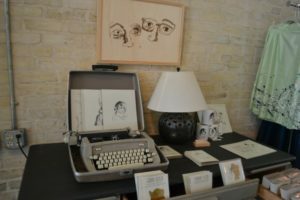 With favorites from locals like Tattoos&LoveLetters’ signature cheeky paper goods to Slow North creator of 100 percent soy wax candles and other “mindful goods for the modern bohemian’s body & home,” Indigo Makers Collective’s handpicked selection offers patrons some of the best creations from South Texas makers. The shop also carries apparel created by founders, Carrell and Sullivan. Carrell is behind Liberty 61, a clothing line made with 100 percent bamboo cotton and linen. Sullivan is the owner/designer of Bonjour Biqui, a line of apparel that is simple and classic with a modern twist. 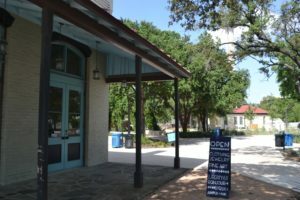 Indigo Makers Collective’s OPEN Downtown Pop Up will be set up for three months in Hemisfair, but Sullivan is hopeful they’ll be there for a year. She stated that since they’ve set up shop they’ve received a strong and supportive response from the community. The space is in constant evolution. Brown said they’re looking to fill some holes in their merchandise, and are seeking works from local makers in the following areas: jewelry/accessories, furniture pieces, men and children’s apparel. 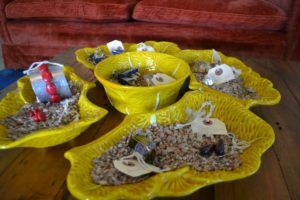 She also added that she’d love to see the space host workshops, and Meet the Maker events where customers can meet the makers behind the creations at the shop. 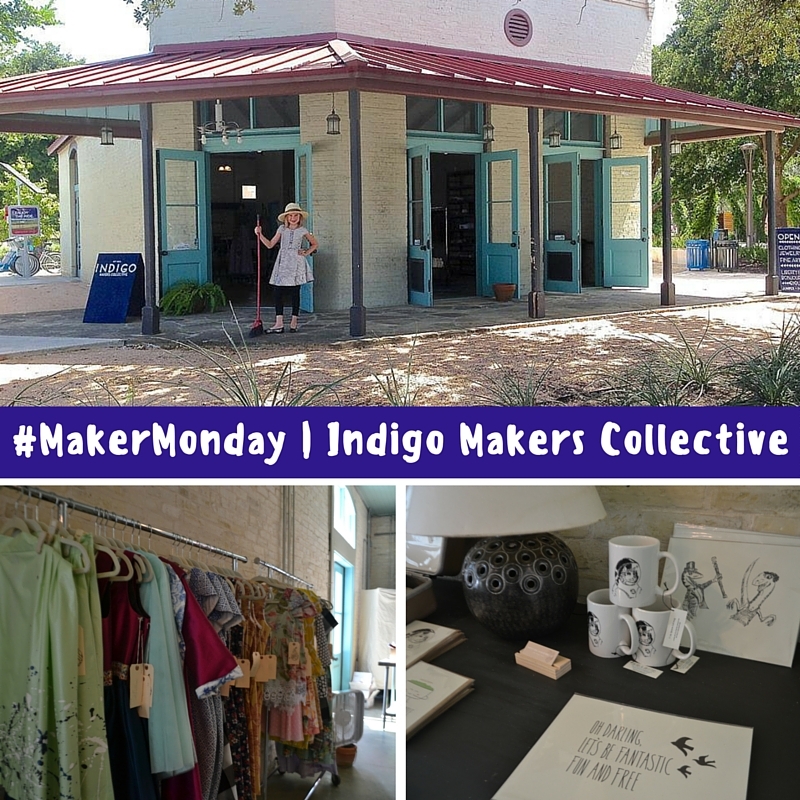 Indigo Makers Collective is located at 518 S Alamo St., San Antonio, Texas 78205. 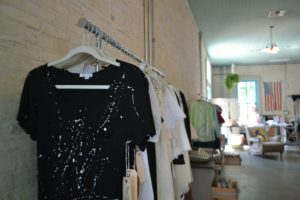 Their hours are Tuesday through Sunday from 11 a.m. until 7 p.m. For more information and to RSVP, visit facebook.com/indigomakerscollective.